BOSTON POLICE OFFICER HOLLERAN, DAVID A. of FRANKLIN. Nov 14th. 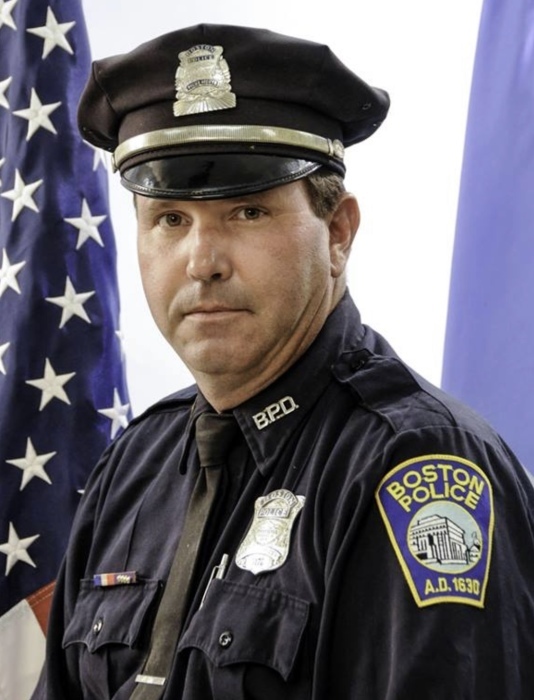 David was a member of the Boston Police Patrolman’s Association and an active member of the NRA. He was assigned to District C-11, serving as a police officer for 32 years. Loving son of the late David M. and Marian (Norley) Holleran. Brother of Elizabeth Holleran of Acton and Meghan Bourque of Chicago. Also survived by nieces BethAnn Vargas, Jacqueline Barios, Amanda & Cassie Bourque and nephews David Vargas and Richard Vargas, Jr. and great nephews Travis Papa and Austin, Marcus, Hunter and Westen Bairos. Funeral from the Mann Rodgers Funeral Home, 44 Perkins St, Jamaica Plain. Visiting Hours are Monday evening from 4-8pm. Relatives and friends invited. Interment will be private.